It's October which means Halloween! On my recent trip to America, I bought a can of pumpkin puree and assorted Halloween goodies. Yes I know you can buy this in London but it's quite expensive here. Anyway, I was quite excited to bake with it as I've never used it before and I remember seeing this recipe on our recent Secret Recipe Club reveal which I'm also a member of. It was on So Tasty, So Yummy's blog who in turn got it from Loving Life. 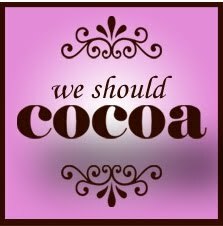 We Should cocoa was created by Choclette and Chocolate Teapot and this month is being guest hosted by Nat from Hungry Hinny. The special ingredient this month is pumpkin. The One Ingredient Challenge is hosted by Nazima from Franglaiskitchen and Laura from How to Cook Good Food. The theme this month is pumpkin and squash. As pumpkin is a seasonal ingredient, I'm also entering this to Simple and in Season created by Ren from Fabulicious Food and is being guest hosted this month by Franglaiskitchen. As I mentioned earlier, this pumpkin puree came all the way from America and it's also a common American ingredient especially at this time of the year for Halloween and Thanksgiving. 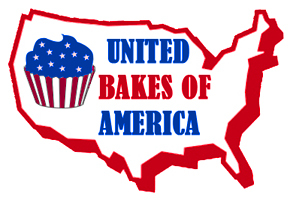 I'm therefore entering it to United Bakes of America hosted by Gem from Cupcake Crazy Gem. 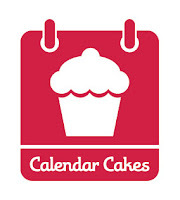 Calendar Cakes hosted by Rachel from Dolly Bakes (this month's host) and Laura from Laura Loves Cakes have chosen Halloween as their theme for October. This would be the perfect Halloween treat. I bookmarked this recipe as soon as I saw it on reveal day as I knew I wanted to make it one day. I'm so pleased I didn't wait too long to try it out. 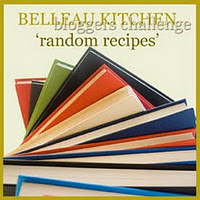 I'm therefore entering this to Bookmarked recipes hosted by Jacqueline from Tinned Tomatoes. In a medium bowl, combine flour, baking soda, cinnamon, allspice, ginger, nutmeg and salt. Set aside. Cream the butter and sugar in an electric mixer until pale and fluffy. The mixture will appear curdled - don't worry! Reduce speed to low and add in dry ingredients. Finally, stir in chocolate chips. Spread batter evenly in a baking tray. Bake for about 35-40 minutes or until a skewer inserted into the centre comes out clean. My favorite is Libby's too! Yum! It's my first time trying it and it's delicious! Ooo I made some pumpkin and chocolate brownies too at the weekend. 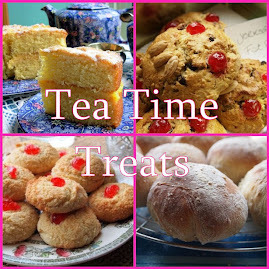 These look great, it's a yummy combination! Pumpkin and chocolate go well together. I love brownies. Yum! These bars look really delicious!! I made a similar recipe last week (post coming soon! ), and it was delicious. You are so right that it makes the house smell wonderful! Yum! I can completely concur about the amazing smell! For Canadian Thanksgiving last week I made pumpkin and choc chip banana bread! and it was a definite winner! I am loving that I can get tinned pumpkin so readily here and it's not pricey! Although to be honest most other baking ingredients especially chocolate chips etc are way more than we'd pay in England! He he Ros, has this beaten the record for number of challenges entered at anyone time? It looks as though it's really light which you wouldn't expect from puree. It also sounds delicious. LOL I think my record was 8 challenges!! This tasted absolutely amazing. I'll definitely have to make it again. Oh how yummy Ros, there are so many great ingredients you have used and I must try that pumpkin puree out. Although I need to use up all my own squashes & pumpkins first! Well I do love how many challenges you have entered here, a job well done and thanks for including One Ingredient with this delightful, seasonal bake! I'm sure you can puree your pumpkin but it would be a lot of extra work! I can't wait to read the one ingredient round up for more ideas. Very impressed with the number of challenges you've managed to enter these bars for! I like your advance planning of buying pumpkin puree while in America - if I ever go on holiday there I think I would need to take an extra empty suitcase so I could come back armed with baking supplies you can't get here! I'm obsessed with all things Pumpkin Spice at the moment so I can't wait to have a go at these. I'll have to order some of that Pumpkin puree! Thanks for the recipe! @hungryhinny - I often say that about the US and an empty suitcase, it still wouldn't be enough for all the goodies I would want to bring back! I have to say you have a lovely recipe here. I was planning something similar to make a pumpkin - choc recipe! will have to put my thinking cap on again! I actually made my own pumpkin puree from roasted pumpkin - wasnt too complicated though with a 9 month old baby I am constantly pureeing so it was just another veg to add to the pile. 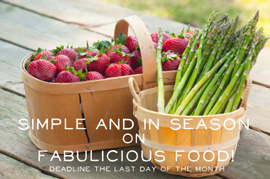 Thanks for adding this delicious snack to both simple and in season and one ingredient! Damn, I wish I'd thought to buy pumpkin puree when I was in America! Can you get it over here, and if so where? I reckon you could just cook and puree some pumpkin though it's obviously a lot more hassle! I was just doing a google search for Libby's Pumpkin Puree and it's on the Waitrose website for £1.39. The tin looks slightly different though! a ha!... the nepharious can of PP... you clever thing you... and they do look very moreish and tasty... nice work! Oooh can't wait to see your Halloween bake. I may make another Halloween recipe next week. A great idea. I do love pumpkin pie flavours and spices. This is a nice way to use pumpkin puree. I have tended to roast and make my own puree but I have seen tins of it in waitrose now so a much easier way to use it! Definitely much easier to use the puree in a can. I'm now a huge fan of pumpkin!